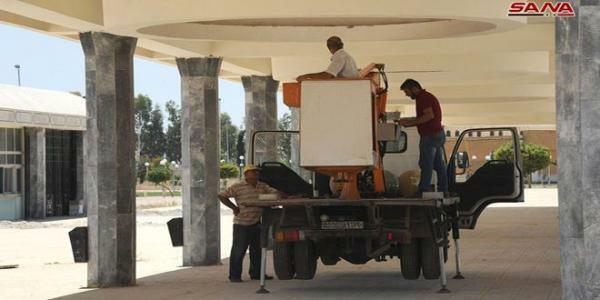 Continuous work and hectic preparations are underway at Damascus Fairground City where the work teams of electricity, technology, and repair are distributed to make ready the infrastructure and conduct the necessary maintenance ahead of the upcoming 60th edition of Damascus International Fair due to be held in September 2018. The General Electricity Supervisor Moataz Dayoub told SANA that preparing the fair pavilions’ infrastructure included providing the squares and corridors with lightning and operating the lakes, pointing out that the teams are doing their work at an accelerated pace. The internet will be available at a wider space in the fairground as it will cover the entire area of the international pavilions, the journalists’ center, the Syrian pavilion and the businessmen center, Dayoub clarified. 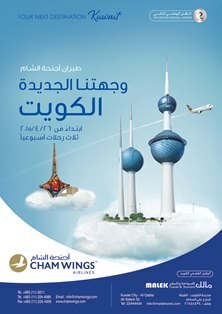 Damascus Fairground City has an overall floor area of one million and 200 thousand square meters, of which 74,000 square meters allotted for pavilions.